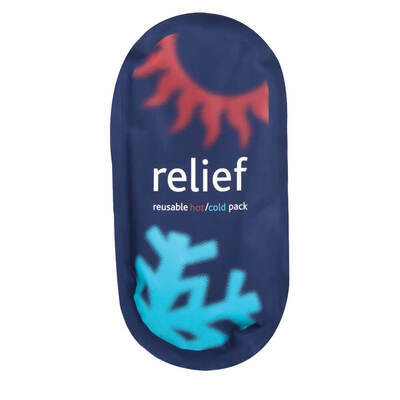 Presented as part of our First Aid and Medical Supplies category, add our Reusable Hot/Cold Pack to your First Aid Box. Suitable for soothing aching muscles and reducing swelling and/or bruising, it can either be microwaved for up to 1 minute or stored in the freezer to suit your needs. When hot, the gel helps to improve blood circulation and offers temporary relief from muscular pain. When cold, the pack helps to temporarily reduce swelling while helping to sooth pains such as a toothache, headaches or fevers. Ensure your First Aid boxes are fully stocked with a range of items including our Emergency Thermal Blanket, our Disposable Instant Ice Pack or our Triangular Single Use Bandage.